SEOUL, KOREA, Apr 19, 2018 - (ACN Newswire) - Suprema ID, a global leader in biometrics and ID solutions, today announced that it will unveil the world's first fingerprint scanners featuring machine learning based Live Fingerprint Detection (LFD) technology at the ID4Africa 2018 exhibition in Abuja, Nigeria on April 24-26. RealScan-G10 and RealScan-D, Suprema's best-selling fingerprint enrollment scanners, provide new levels of anti-spoof security equipped with the world's first machine learning based LFD technology. The new technology was developed to overcome the inherent limitations in live scanning by applying machine learning techniques to analyze and categorize image patterns by the characteristics of faked fingerprint materials including clay, rubber, silicon, paper and film. 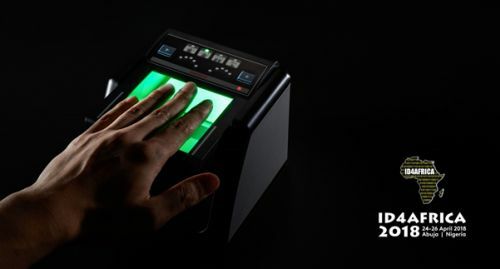 With this new technology, RealScan Series live scanners now eliminate fraud by fake fingerprinting or 'spoofing'. "New machine learning based LFD clearly reflects our market focus and commitment to innovation in ID solutions. The technology is designed to meet the stringent security requirements of unmanned security systems including automatic border control and kiosk scanning systems. We are experiencing increasing demand for anti-spoofing technology on our live scanning devices. With this innovation, Suprema ID will enhance its position as a major provider of ID solutions to global markets," said Bogun Park, CEO at Suprema ID. Suprema ID will be demonstrating the new LFD technology at ID4Africa 2018 with RealScan-G10 and RealScan-D scanners. To experience the latest innovations in ID solutions, please visit the Suprema ID stand (#C28) at ID4Africa 2018 or book a demo at www.suprema-id.com. Suprema ID is a leading global provider of biometrics and ID solutions. By combining world renowned biometric algorithms with superior engineering, Suprema ID continually designs and develops industry-leading products and solutions. Suprema ID's extensive portfolio includes fingerprint enrollment scanners, fingerprint authentication scanners, fingerprint embedded modules and ePassport readers. Suprema has provided national ID projects to more than 20 countries, while more than 1 billion people worldwide are using Suprema ID fingerprinting technology each day. For more information, please visit www.suprema-id.com.